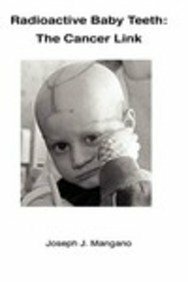 Radioactive Baby Teeth: The Cancer Link This important book describes past and current studies measuring amounts of Strontium-90 in baby teeth, and how this radioactive chemical raises the risk of childhood cancer. The book reads like a mystery, beginning with the discovery of an old ammunition bunker where thousands of baby teeth from the 1950s are stored. 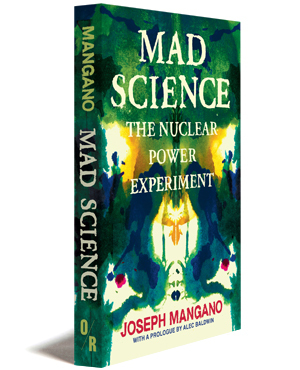 It is an easy-to-read account of one of the most crucial science and health issues of the 20th century. To read a sample chapter, click here. 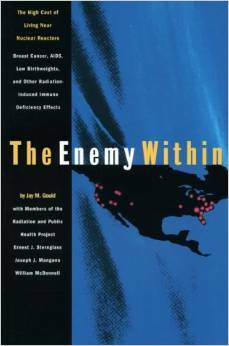 This book offers substantial evidence of the adverse health effects of radioactive emissions in high risk areas near each nuclear reactor site. 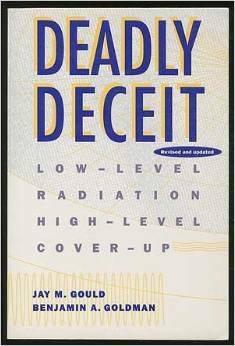 Deadly Deceit: Low-Level Radiation High Level Cover-Up Published in 1990 by Four Wall Eight Windows. 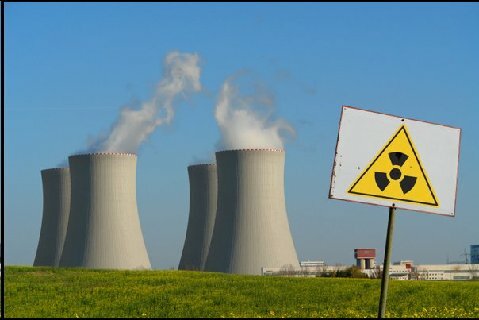 Deadly Deceit discusses the importance of statistical estimates of excess numbers of deaths with regard to man-made radioactive pollution. 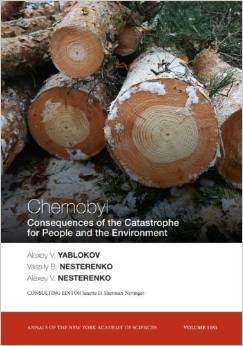 Practical examples are given showing global effects from Chernobyl fallout in 1986, low-level radiation effects from nuclear bomb tests, and similar effects from nuclear power reactors. Read select chapters. Profiles In Power: The Antinuclear Movement And The Dawn Of The Solar Age Dr. Jerry Brown's book, Profiles In Power, presents, in five case studies, the compelling stories of ten 'Davids' who won against the nuclear 'Goliath.' Dr. Brown, and his co-author Rinaldo Brutoco, also profile individuals involved with soft energy alternatives, offering a viable alternative to nuclear technology. These studies demonstrate how we each can make a difference, by exploring how others have brought about dramatic turnabouts in the American nuclear arena. Dr. Brown's Book Profiles In Power: The Antinuclear Movement And The Dawn Of The Solar Age is available by calling toll-free: 1-800-257-5157 Read more about the book. Life's Delicate Balance: Causes and Prevention of Breast Cancer By Janette D. Sherman, M.D. With breast cancer rates soaring, Life's Delicate Balance defines and documents many causes highlighting means to prevention. 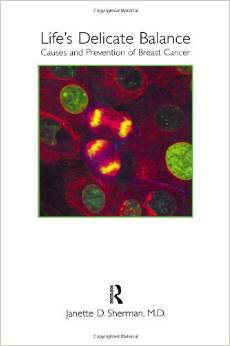 Applicable to other cancers as well, this book is being published at a critical time. Patients, their families, environmental activists, physicians, attorneys, and all of those working toward prevention will find this book interesting, informative and insightful. Analyses the links between chemical, radiation, endocrine disrupters and cancer Dispels the "myths" of risk for breast cancer Provides a detailed examination of the promotion of tamoxifen and post-menopausal hormone use Discusses the history, ethics and morality of the current cancer epidemic Considers environmental related diseases in men as well as women. Order Dr. Janette Sherman's two books Life's Delicate Balance, Chemical Exposure And Disease. 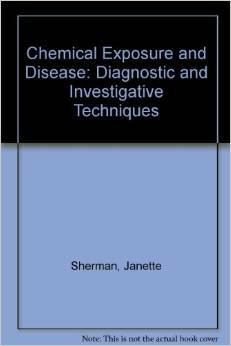 Chemical Exposure And Disease Diagnostic and Investigative Techniques by Janette D. Sherman, M.D. 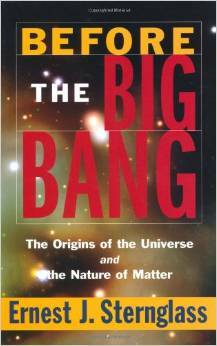 In any scientific discipline it is rare to find a book that does not oversimplify, and yet can be understood by the untrained. Chemical Exposure and Disease is precisely such a book, making complex issues clear to the general public untrained in medicine and toxicology. 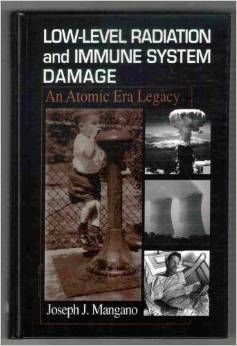 This book does not discuss the health effects of radiation. But to truly understand the effects of radiation, it is necessary to also know the adverse consequences of chemical exposure. We believe Dr. Sherman's book is ideal for learning how chemicals effect our bodies.